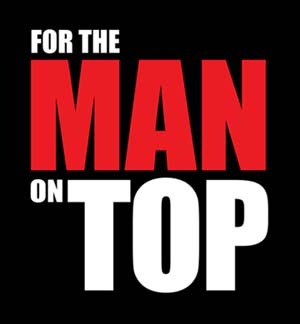 A tribute to the man on top. There are more than a few different types of guys, but the alpha male is the one that stands above the rest. Being one, however, is more than just having swag and being imposing; it also means having the confidence to live a life of fulfillment and self-actualization. 1. He's comfortable with himself. An alpha male is more than confident; he is the living embodiment of confidence. He rarely shows fear and doesn't need anyone's approval before doing something. 2. He knows how to dress well. An alpha male doesn't dress to impress. Wearing a really smart outfit is almost second nature to him, since he knows that dressing well leads to success. 3. He's in pretty good shape. An alpha male knows the importance of healthy living and a proper diet. He believes that working out regularly helps them focus on their goals in life. 4. He's good with the ladies. It's no wonder that an alpha male easily gets the girl. He knows how to express himself through words and actions, and is not afraid to show his animal side between the sheets. 5. He's focused and driven. What makes an alpha male different: his determination to achieve his goals. Once he sets his eyes on the prize, he will do whatever it takes to get there. Trust Rogin-E to keep you in top form all day, every day. Rogin-E is Multivitamins + Minerals + Deanol + Royal Jelly + Korean Panax Ginseng: Man on top.